This first weekend of November featured ISB’s annual Junior Special Olympics. As you may know, there are a lot of kids in the Pak Kret area who are not as privileged as we are, and some are dealing with mental illnesses or traumatic experiences changed their lives. 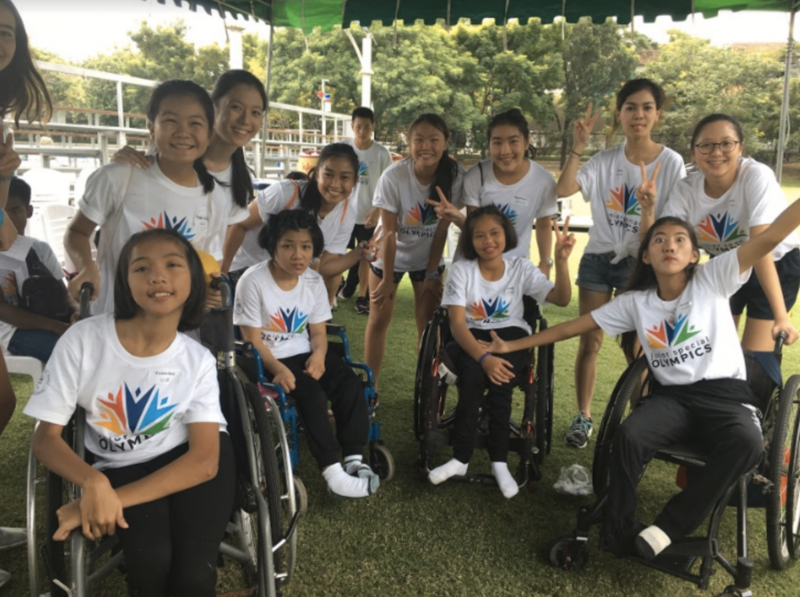 The role of the Junior Special Olympics is a day where kids from the local Pak Kret area can come and have a day of fun with and ISB student volunteers. It is a great day full of games and memorable experiences, and is one of the great things that ISB does to give back to the community. I sat down with Ms. Hansberry, the CAS coordinator, to find out a bit more about the Junior Special Olympics. The Junior Olympics originally started as a few students’ CAS project, and has continued to be a successful day giving back to the kids of our community. This day takes a lot of preparation, and a lot of things go unnoticed by others in the planning of this event. During the day, students have to coordinate with many people in order to reserve fields, plan out activities, talk to teachers about using classrooms, talk to the B&G staff about cleaning, as well as the elementary school technology team. A student volunteer, Sara Khan (10), described her first Junior Special Olympics experience. She signed up for this event because it was a great chance to “gain service hours, but also a really fun way to give back to the kids in our community.” Sara was really glad that she made the decision to participate because it also gave her the chance to collaborate with people she usually wouldn’t. They did many different activities, giving the chance for all kids who may be disabled or disadvantaged to be able to have fun throughout the day. “We got to take the kids inside to go on our computers and use ISB’s art supplies.” Sara explained to me. This experience was definitely worth it for Sara, and she “definitely will go back” next year. This day has developed into a really fun day for kids in the community. They get a chance to come to ISB and play games, relay races, play around on computers, and much more. Some of the kids here have been put in a child care center and so they don’t get many moments like this to just have fun. We are so privileged here at ISB and so giving back to these kids means a lot to them.